View of Montreal and Mont-Royal from the North. Note the Mont-Royal tunnel entrance below the center. In 2017 for this blog, the big story continued to be the REM. Early in the year the BAPE (environmental consultation process) published their report, in which they concluded that at this time they can not recommend that this project should continue. I had been following that consultation closely, and wrote a long memoir and gave a presentation at the BAPE, which focussed on issues with the project and possible ways to address them (see 1-page synthesis map). I also noted VIA Rail’s strange contribution to the consultations, where it appeared they were in favor of a project that will compromise their plans for an intercity rail network. 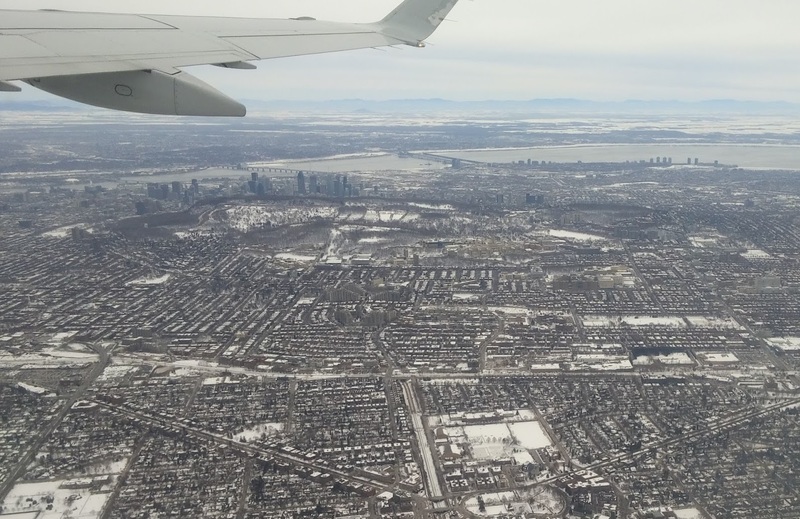 During the year, CDPQInfra continued undeterred and unwilling to address the problems identified in the consultations, backed by municipal and provincial governments whose highest priorities were that the project continue as fast as possible, at any cost. The provincial government even passed a law to override processes and construct an alternate reality in order to rush the project through. One particular concern, besides the planning issues and CDPQInfra’s continuing misrepresentations of numbers and facts, is the privatization of important existing rail infrastructure. Late in the year I made an accounting of the value they will receive via the privatization of the Deux-Montagnes line and Mont-Royal tunnel, estimating that this will represent a subsidy worth about a billion dollars. But there were other things happening this year. On big story in 2017 in Montreal was the municipal election in the fall. I kept relatively quiet overall, but did write a long and pretty successful article about the technology and planning behind Barcelona’s Line 9 project, and how it allowed the construction of a long and complicated metro line. The Barcelona metro line was used as an example by municipal party Projet Montreal to show that it is at least possible to build their proposed “Pink Line” at the suggested cost-levels. Meanwhile, incumbent mayor Coderre derided the proposal as ludicrous. Another story that was big on this blog was the Vendome second access project. I wrote a report and gave a presentation at the public consultations to point out the long transfer distances in the plans and proposed changes to shorten them. Late in the year, another transportation story was the call by Prime Minister to Cuilliard to build a high speed transit link between Montreal and Quebec City, but he didn’t want it to be conventional rail. As proponents of speculative fixed guide technologies popped up to advocate the supposed superiority of their yet undeveloped solutions, I warned about trusting them too much in an article titled “What’s a Gadgetbahn?”. On a personal level, I stopped working at Transit App in 2017. I had worked there for three and half years. 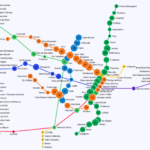 Among other things, I developed an algorithm to automatically generate pretty transit maps. After moving on from my developer role there, I took some time off to go to Recurse Center in New York City, a sort of “writer’s retreat for programmers”. During that time I kept getting dragged back to transit and transportation issues. For example I spent a lot of time to prepare for the previously mentioned Vendome Consultation. That led me to think that I should focus my professional career more around transportation, and in the second half of 2017 I started an MBA in Sustainable Mobility at the Technische Universität Berlin. In 2018, I’ll spend about half my time in Berlin, and half the time in Montreal. 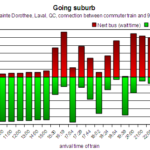 Is the Montreal Metro Profitable? Mont Royal Mountain: Let’s turn Urban Driving into Urban Downhill Skiing! 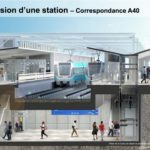 Privatization of the Deux-Montagnes Line: How to Value a Transit Line?